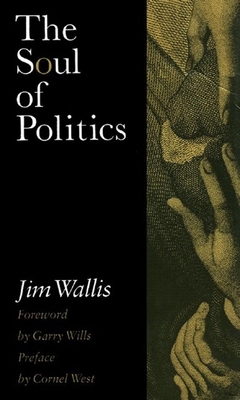 Jim Wallis's classic The Soul of Politics, originally published by The New Press in 1994 and now available in a new hardcover edition, has sold 60,000 copies to date and has been widely praised for its prescience and passion. In fact, no issue has become more topical or polarizing in the United States than the intersection of religion and politics, with the country seemingly irreconcilably split between the "religious right" and the "secular left." In this "dynamic, hopeful" (The Nation) book, Wallis, the nationally known activist, preacher, and editor of Sojourners magazine, shows why both the traditional liberal and conservative visions are inadequate to the challenge before us, and outlines instead a new political morality combining social justice with individual responsibility. Arguing that we need to look beyond the traditional corridors of power to find the resources for a political movement that will foster true democracy--emphasizing compassion, community, racial reconciliation, gender equality, justice, imagination, and joy--The Soul of Politics "speaks to how all Americans--not just churchgoers--need to take personal responsibility for change rather than rely on politicians" (Cleveland Plain Dealer). Jim Wallis is the founding editor of Sojourners magazine and a well-known Christian leader for social change. An activist, writer, and popular speaker, his books include Who Speaks for God? ; Faith Works; The Soul of Politics: A Practical and Prophetic Vision for Change (The New Press); and, most recently, the national bestseller God's Politics. He lives in Washington, D.C.